One in five American adults has a mental illness. One in 10 full-time employees has an addiction, and we are in the midst of an opioid crisis. Mental illnesses are the leading cause of disability worldwide. About 90% of people who die by suicide—the 10th leading cause of death in the U.S.—have an underlying mental illness. What can employers do to ensure their employees have access to mental health care? Push your insurance network to add mental health providers. 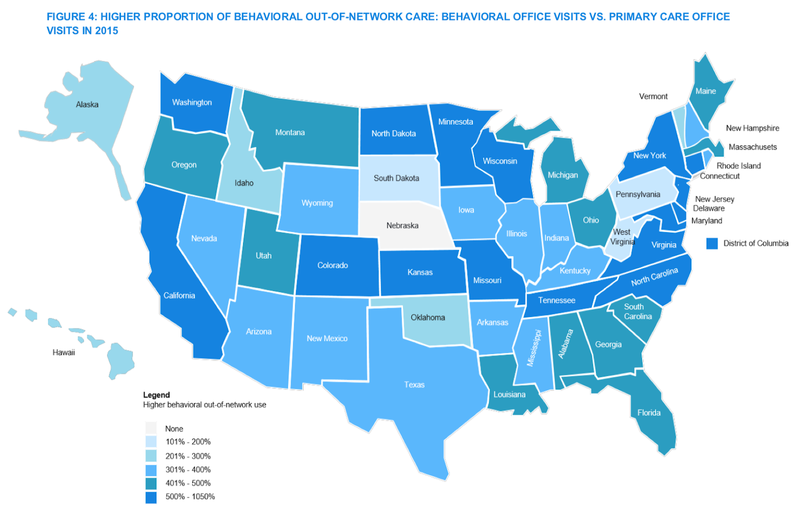 Promote a collaborative care model that incentivizes primary care providers to screen for mental health problems. Support primary care doctors and patients with behavioral health navigators that help patients get access to appropriate, cost-effective care. Maintain an insurance option with out-of-network coverage for your employees until adequate care is available in-network. I have a feeling this could be a long series of posts. You can find the first one that includes an interesting take on the issues from Maggie McGary here. If you want to learn more, I recommend starting with these resources. How to Support Mental Health at Work from the Mental Health Foundation in the U.K.
Campaign to dispel the stigma that surrounds mental health spearheaded by the Royals in the U.K.